Where can you take a break when flying to Asia? Why not stop over in Bangkok? The playground of south-east Asia, Bangkok is an all-out assault on the senses. 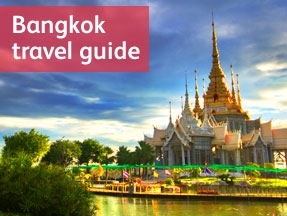 Colourful, cultural and chaotic, Bangkok also has some of the most serene temples, ancient spirit shrines and first class restaurants, hidden amid the soaring skyscrapers and screaming traffic.